Metcheck.com - Weather News - Mostly Dry And Bright. Following confirmation that Summer 2018 was the hottest summer on record for England and the joint hottest summer for the rest of the UK (with 1976), temperatures yesterday peaked in the mid-twenties towards south-eastern parts of England once again with some warm sunshine but for the rest of the week a cooling trend is expected with more unsettled conditions set to develop during the second half of the week as low pressure takes over. 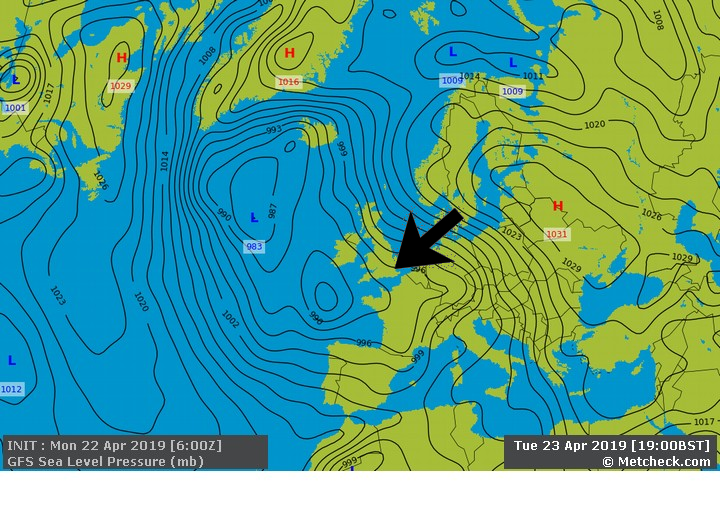 For this morning the frontal system that has been making very slow south-eastwards progress across northern and western parts of the country is extending from parts of southeast Scotland and northeast England down towards southwest England but it is very weak, bringing little more than a band of cloud and a little light rain or drizzle in places. 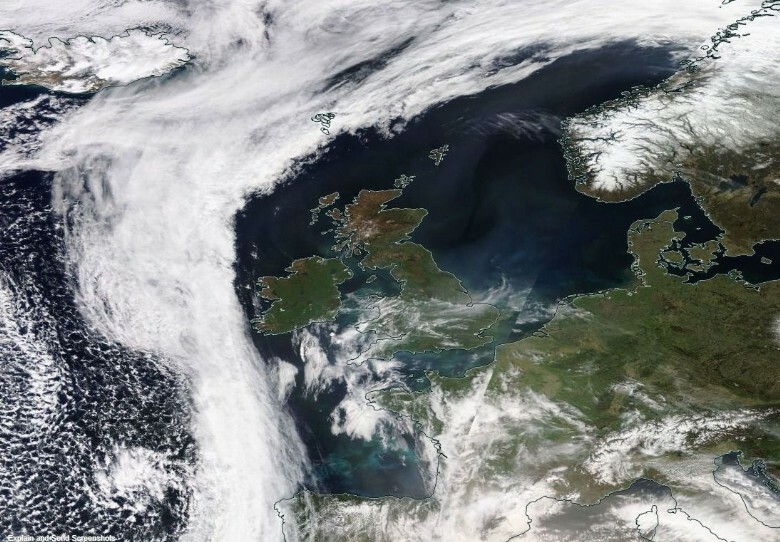 This front will once again not move very far today so these areas will hold onto a lot of cloud whilst many other parts of Britain and Ireland see a brighter day with some sunny spells at times and just the odd shower breaking out later. Temperatures will again be warm in the southeast with maximums into the low-twenties, but more widely highs will be in the mid-high teens with generally light winds. There will be plenty of dry weather around tonight with some clear spells and variable amounts of cloud. The odd heavy shower may affect the southeast of England whilst another band of thicker cloud and some rain moves into the northwest. 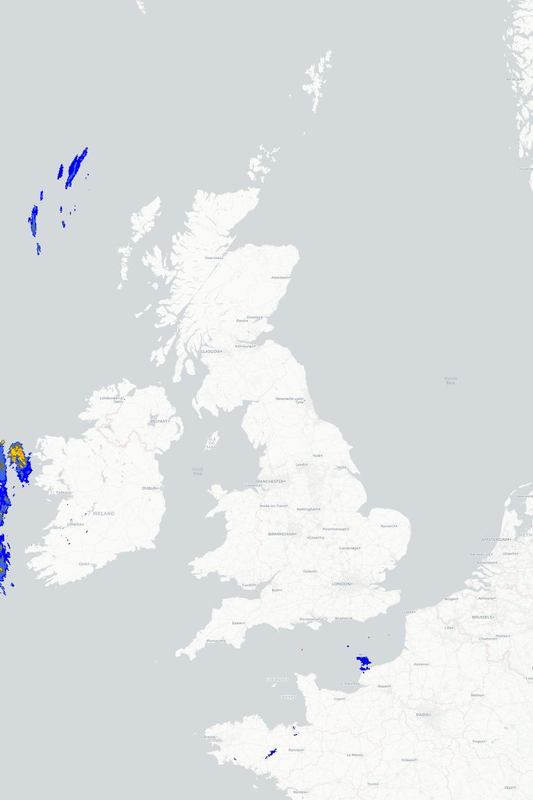 This sets the scene for the midweek period with many places staying dry with some sunny spells at times, but some rain will affect the northwest and the odd shower may affect the southeast.